Jane Addams (1860-1935) led such wide-ranging life that it is difficult to describe her in a few words. It only scratches the surface to say that she was the co-founder of Hull House in Chicago, the nation's first settlement house; a founder of the fields of social work and sociology; a co-founder of the first national women’s trade union organization; one of the nation's first itinerant grassroots organizers; a leader of the suffrage movement; an international leader of the peace and women's rights movements; and the first American woman to receive the Nobel Peace Prize. Consider that she was also an activist philosopher of pragmatism, a founding board member of the NAACP and the ACLU, the author of eleven books (for a list, see the link below; some of the books are available digitally, with links provided) and the most politically influential woman of her day. Her friends and colleagues included John Dewey, Frances Perkins, Ida Wells-Barnett, Theodore Roosevelt (sometimes), Florence Kelley, Julia Lathrop, and she was admired by many, including William Jennings Bryan, William James, Franklin Roosevelt, and Alinsky. 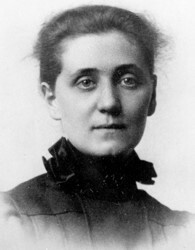 Jane Addams wrote 11 books. Many of them have been reprinted in paperback by the University of Illinois Press. Her most famous book is a memoir, Twenty Years at Hull House, which is available in many editions, including digital. Beware, however, that the Macmillan Education edition, introduced and edited by Victoria Brown, is NOT the complete book, despite appearances. It is an excerpted edition. The University of Illinois Press has also reprinted a biography (1935) of Addams by her nephew, James Weber Linn. While factually inaccurate in places and with the natural biases inherent because Linn is writing about his family, the book is an invaluable original source for other biographers and delightful to read. There are a number of short chronologies of Addams’s life on various websites, but all omit a great deal and most have errors. I have supplied this annotated chronology as a first attempt to supply a new and accurate digital resource. Suggestions and corrections welcome. The Jane Addams Papers Project has produced two volumes of Selected Papers. The project web site contains a chronology, photo gallery, bibliography, and even sample documents! The project also published a masterful microfilm of the Jane Addams Papers, which some libraries own and others can borrow through Interlibrary Loan. The Editor of the microfilm is Mary Lynn McCree Bryan, the founder and director of the Jane Addams Papers Project. In November 2010, Jane Addams named one of "The 25 Most Powerful Women of the Past Century" by Time magazine. There is a website about the connections between Addams's early peacework and the 10th anniversary of the adoption of U.N. Security Resolution 1325 by the United Nations. In April 2017 David Brooks published a column about Jane Addams in the New York Times. I disagreed with his take on Addams, so I sent a letter to the editor of the newspaper, and it was published.